Finished this wonderful collection of short stories and poems, including my favorite, Snow, Glass, Apples, by the fantastic Neil Gaiman. And you can’t always trust the survivor’s version of the tale, can you? I admire the way this man can put words together. His prose is poetic enough; his poems simply sing out their wonderful tales. I have read many of these in other anthologies, but this collection is well worth having on my Kindle. 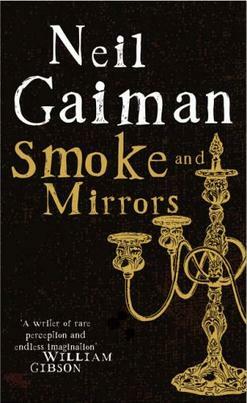 This entry was posted in 2011 Reading List, Fantasy, Horror and tagged Fantasy, Horror, Neil Gaiman, Smoke and Mirrors. Bookmark the permalink.